In a week when an unusual comedy by the name of Birdman won the Academy Award for Best Film, it’s fitting to see a new effort from the last director to steer a comedy into the Oscars top spot hit cinemas. John Madden took Shakespeare In Love to Box Office and critical triumph back in 1998, and in 2012 delivered his second most successful picture in The Best Marigold Hotel. So, did we need a sequel? 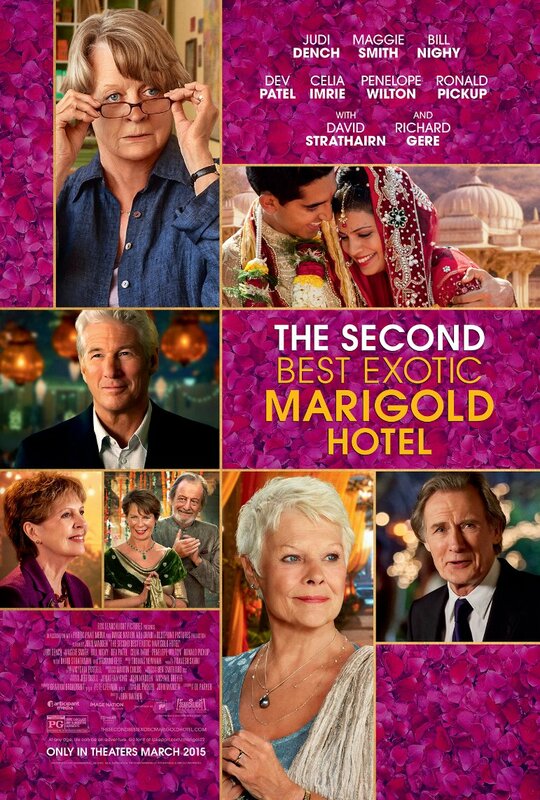 As I write this, the Rotten Tomatoes score for his Second Best Marigold Hotel is 1% higher than the original, then I’d say yes. Irrespective of what the world film critics have to say I would also say Yes. This film is a delight for the senses, opening with laugh-out-loud comedy as Sonny Kapoor (Dev Patel) and Muriel Donnelly take their dream of expanding the Marigold into a chain of hotels to America in search of corporate backing. A spot on comment about the Yanks inability to make a decent cup of tea is just the tip of the iceberg of wry, unapologetic observational comedy that opens the film. Once the audience is comfortable laughing, the film changes gears and becomes a series of vignettes about relationships and expectations that ring true for people of any age. The aged cast shine in roles they are clearly very comfortable and natural with, and their character’s messages about life and love are all the more poignant with the end in sight. Perfect for a date night or with a parent or friend of any age, the spectacle of India sparkles, along with the wicked sense of humour and gorgeous heart that is visible at every moment. I’m a deep romanticist through and through so this film spoke to me on every level. It also helped that I was sitting next to a very sweet 87 year old lady who loved the film too.